Sensible Films is a production company dedicated to making film and television projects that attempt to make sense of the world and its history. That doesn’t mean films that are necessarily dry and intellectual because understanding is as much an emotional as well as a mental experience. In fact the real objective of Sensible Films is to make films that move people because of their appeal to the intellect, not in spite of it. John Moore has been involved in the entertainment business since he started working at the Pram Factory Theatre in 1978. The Pram Factory had a seminal influence on the cultural life of Australia through its focus on new Australian work produced by a collective of actors, writers and technicians. His many film awards include an Australian Film Institute Award for Best TV Documentary for GUNS & ROSES (1991), best documentary at the Melbourne and Sydney Film Festivals for BLACK MAN’S HOUSES (1993) and the $15,000 NSW Premiers History Award for THOMSON OF ARNHEM LANDin 2001. John has developed considerable expertise at making dramatised history docs that tell strong personal stories. ABORTION, CORRUPTION & COPS was nominated for the Sydney Film Festival Dendy Awards in 2006 and the docu-dramas MENZIES & CHURCHILL AT WAR and MONASH: THE FORGOTTEN ANZAC were ratings winner on ABC TV in 2008. 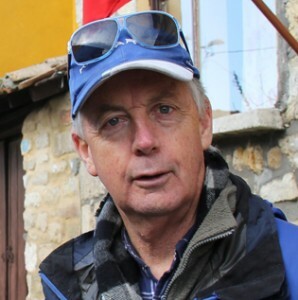 In 2009 John produced THE TRIAL for SBS which told the inside story of Australia’s biggest terrorism trial and in 2010 he produced CHARLES BEAN’S GREAT WAR about legendary war correspondent and historian Charles Bean for the History Channel. Lisa Horler is an experienced Producer of television documentary and digital media. In 2014, she has teamed up with Producer John Moore to become part of Sensible Films. Through her company Licketty Split, Lisa has produced and directed documentary programs like LEVANTES (1998, SBS), FROM HERE TO ITHACA (2002, SBS) and MADE IN HEAVEN (2005, ABC) that aired on Australian television. In 2009, Lisa produced ALONE IN A CROWED ROOM, a documentary about adults with autism that screened on Compass (ABC 1). Lisa also worked for many years as a freelance Producer, and produced or line produced many documentaries when working for 360 Degree Films and John Moore Productions, including MONASH: THE FORGOTTEN ANZAC (2008, ABC), MENZIES AND CHURCHILL AT WAR (2008, ABC), THE TRIAL (2009, SBS), CHARLES BEAN’S GREAT WAR (2010, FOXTEL), and GALLIPOLI FROM ABOVE (2012, FOXTEL). Lisa’s first website project, SOMAZONE, was created in 1999 and is still in operation today as it is one of Australia’s most popular sites for young people searching for health information. Working for the Australian Children’s Television Foundation from 1999-2002 in the New Media Unit, Lisa production managed all developments including Kahootz V2.0. 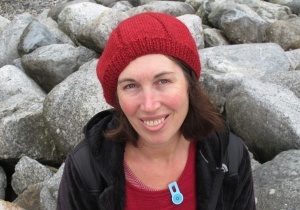 In 2006, she spent a year working for the Geneva based human rights organisation COHRE – the Center for Housing Rights and Evictions – on a major website transition, and in 2010 she content produced the ABC’s Penguin Island website. Lisa’s current slate of projects includes producing the feature documentary FREEDOM STORIES with Steve Thomas, the feature documentary HOMESICK (Director Mick Cummins), and SPERM DONORS ANONYMOUS, a one hour television documentary for the ABC (Director Lucy Paplinska).